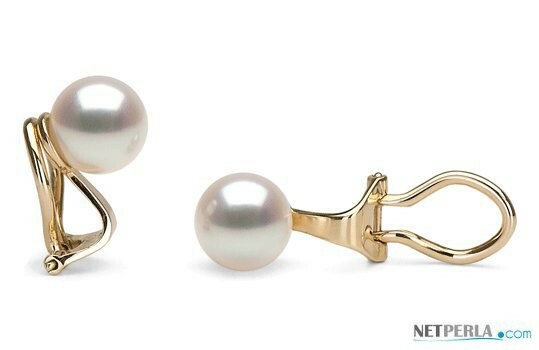 White Freshwater pearl stud earrings for non-pierced ears, pearls from 7-8 mm, round shape, AAA quality, mounted on solid 14-karat gold clips-on settings. Yellow or White Gold. 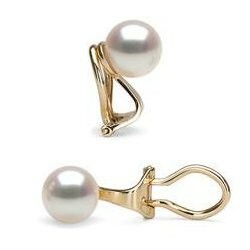 Freshwater Pearl Stud Earrings expecially designed for non-pierced ears. 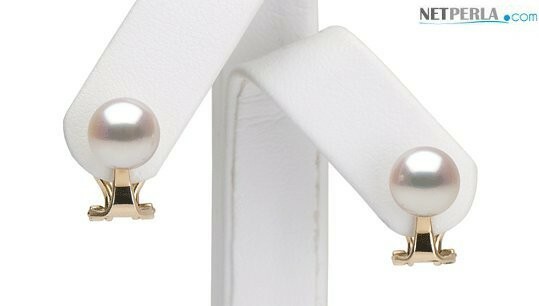 The pearls are white, pearl size from 7-8 mm, AAA quality, round shape. The Clips-On settings are available in 14k Yellow or White Gold. 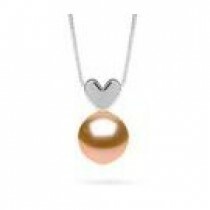 The pearls exhibit a white body color and very fine luster.